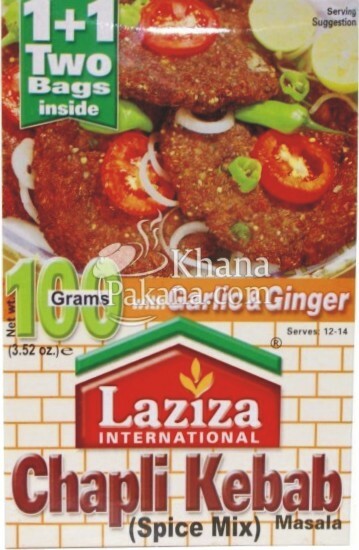 So I had seen the green boxes of beef chapli kabab in the grocery store many times before. I hadn’t ever picked any up because frankly I wasn’t quite sure what to expect. When I saw FreshCo had them on sale this week for $3.99 for a box of 8 and with nothing planned for dinner, I figured I’d give them a shot. According to the wikipedia entry on all things kabab, the chapli version is popular in Pakistan and Afghanistan and usually consists of beef or lamb mince with veggies, spices and herbs that is shaped and grilled like a hamburger. In fact, chapli comes from the Pashto word Chaprikh which means flat. The package directions gives you the option to pan fry, grill or heat the patties in the oven. With the frigid temperatures outside and wanting to avoid extra fat, I opted for the latter. Most of the recipes I had seen called for them to be served with a size of minted yogurt sauce and salad so I opted to make my greek yogurt and dill dip (subbing mint for dill) and my shawarma salad as sides. I had mine loose on the plate while Mr. Bacon opted to make his into a sandwich with a pita. We were both pleasantly surprised at how tasty and tender these were. Very savoury with familiar Middle Eastern flavours and a nice hit of spice. They’ll for sure be making regular appearances in our kitchen. An added bonus – despite being pre-fabricated and frozen – the label only had REAL ingredients listed. Nothing unpronounceable. I can’t wait till spring to try them as a hamburger!